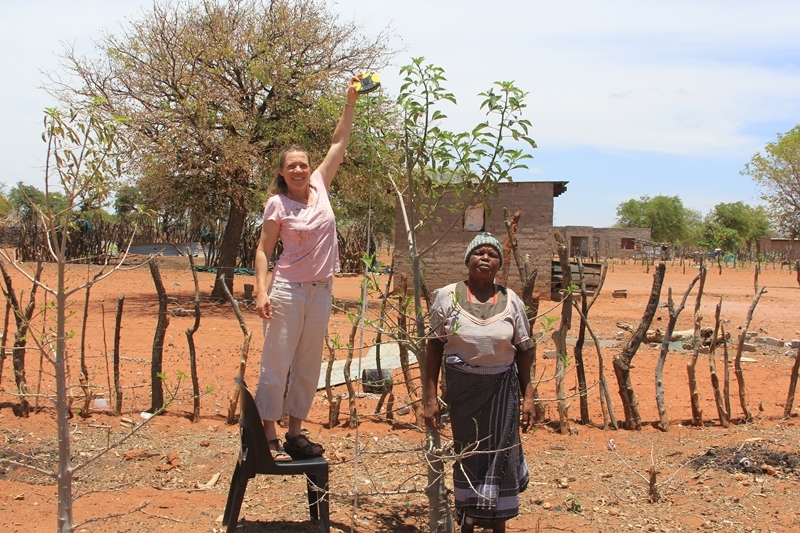 In 2013 I had a vision of creating a culture of caring for our environment by training women to take care of baobab seedlings until they were 3m tall and able to be planted out into the wild and thrive by themselves. We planted out our first seedlings in December 2014 and so the Baobab Guardians project was born. My hope was to have 50 trees planted out in the wild by the end of 2017. Today, we now have planted 25 trees and have 5 sponsors. These are 3 corporate and and 2 private sponsors, (Afke and Liesbeth (from Netherlands) and Melissa Krige (from Platbos Forest Reserve & African Tree Essences). In November last year, along with Prince Musekwa and Blessing Mammbeda, I measured all the planted trees in Zwigodini village. As it was the end of winter, most trees had not yet started to grow, but they were looking healthy and ready for the growing season. We’ll be visiting the trees again at the end of the growing season in April 2017. 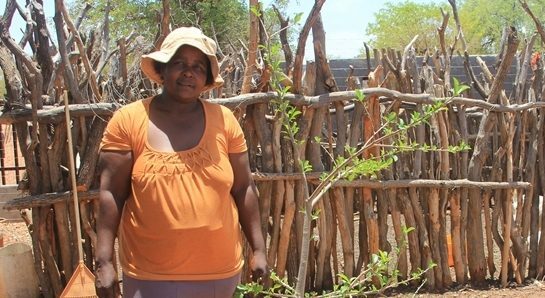 The tree that grew the most was Agnes Mukondeleli’s tree. It grew a full 54cm since April, considering this was not over the growing season, this is a great achievement. Selina Manovhele tree is still the tallest. Last time I needed to stand on a brick to measure it, this time I had to stand on a chair! 7 new baobab trees have been planted in Muswodi Dipeni village. 6 of the trees are sponsored by a corporate and one tree is sponsored by Melissa Krige. This time one man, Aaron Nemutshenzheni volunteered to be a guardian, all the others are women. They are all very excited by the opportunity. They each chose where they would like to plant their tree. The choice is important as it must be in an area where they can protect the trees from goats and also give the trees water from time to time to boost their growth. I will be visiting all the trees in April 2017 to do a re-measurement and to remunerate the Baobab guardians for every cm of growth.